UK air traffic services provider, NATS, has announced the appointment of Dr. Paul Golby CBE as Chairman of the Board. He took up the position on 6 October 2014. Dr. Golby succeeds John Devaney who has been Chairman since 2005. Dr. Golby served as Chief Executive Officer of E.ON UK plc from 2002 to 2011, is a Fellow of the Royal Academy of Engineering and was appointed Pro-Chancellor and Chair of Council for Aston University in 2009. He is also a Non-Executive Director of National Grid. 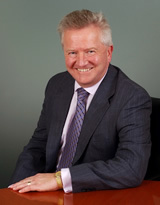 John Devaney joined the NATS Board and was appointed Chairman in July 2005. He was responsible for overseeing numerous developments during his tenure, including significant service performance improvements in the regulated side of the business, increasing collaboration with military customers and the launch of company’s expansion overseas.